In the last couple years, Solange has gone hard at the Met Gala. Whether she’s wearing all-yellow tulle, or an orb-like dress that looks like an elegant elementary school play costume, the equally talented sister of Beyoncé has really stepped up her Met Gala fashion game. 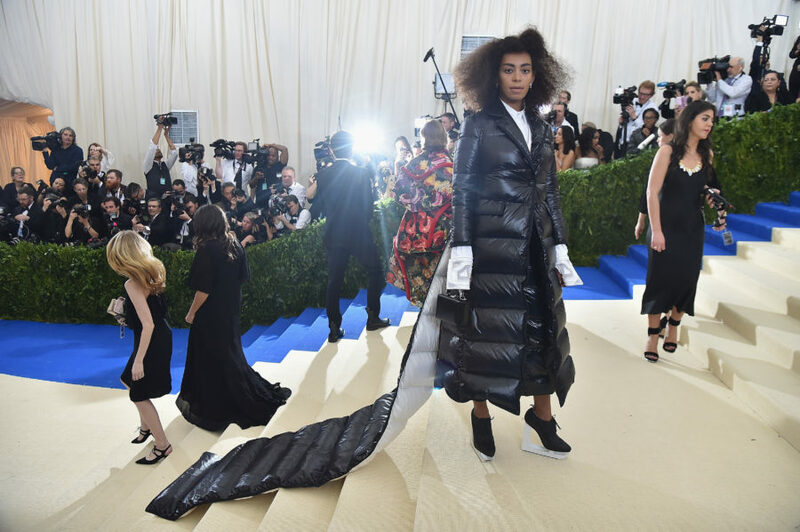 This year’s Met Gala, which is themed “Rei Kawakubo/Comme des Garçons: Art of the In-Between,” invites the usual avant garde looks, which Solana nails. Wearing Thom Browne, Solange looks like she’s braced for cold weather (let’s all be thankful for her that she’s not in L.A., where it reached almost 85 degrees today, welp). She’s probably really comfy, and no one can take that away from her. The black puffy jacket (complete with a puffy train) is layered over a collared white dress which peeks out of the sleeves and around her chest. To complete the snow day look, Solange wore shoes that look like ice skates. 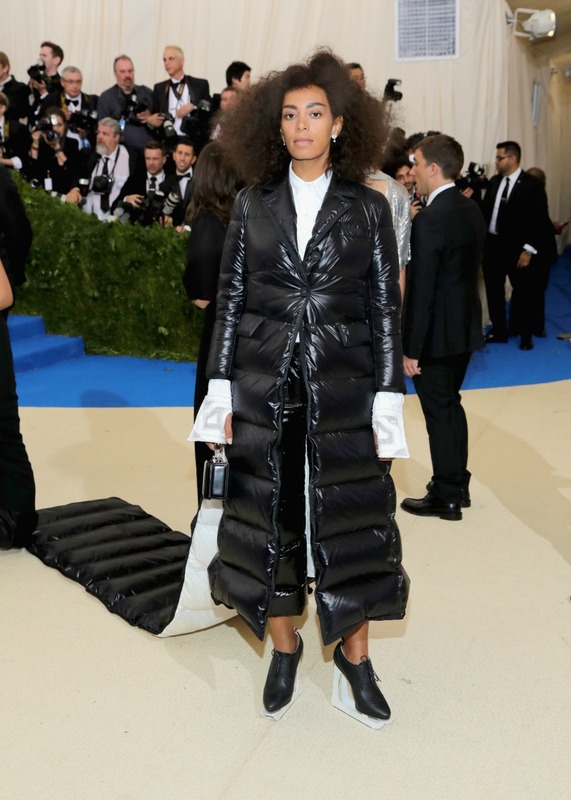 Rei Kawakubo challenges what we think of volume and shape when it comes to clothing, so it makes sense Solange is playing around with a loose-fitting jacket. As for her makeup, Solange went basically neutral, forgoing her usual pop of eyeshadow. We can totally see it.